My parents enjoyed the tour a lot! it offers a great view of the city especially the GREEN LINE according to them. I'd love to try this one personally next time we go to Hongkong. 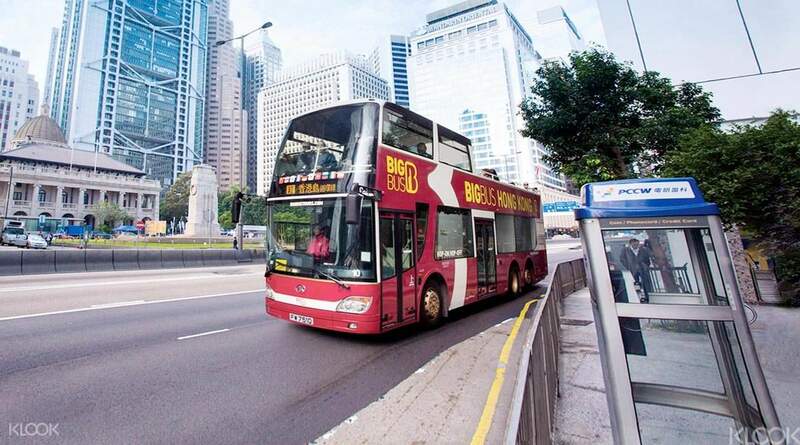 Hop aboard for an efficient tour of Hong Kong's famous landmarks! Glimpse the city's rich blend of Chinese and colonial history through the windows of the iconic Big red Bus – or from its rooftop perch! 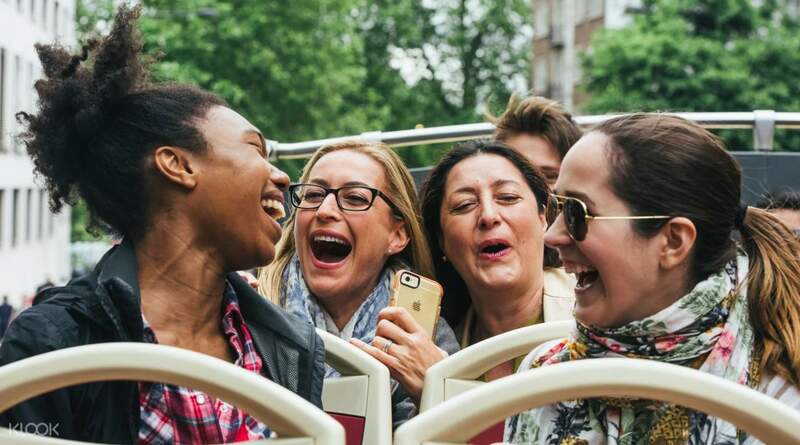 The tour takes you through Hong Kong Island, Stanley and Kowloon areas, featuring attractions such as the Ladies Market, Victoria Peak, Man Mo Temple, Soho and Stanley Market. 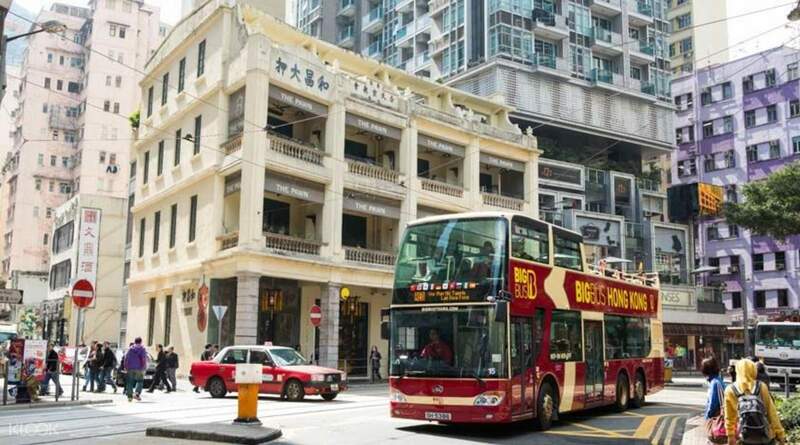 Both Premium (48 hours) and Deluxe (48 hours) tours are inclusive of the Peak Tram Sky Pass, which takes you up to Victoria Peak; a two-way journey on the Star Ferry; and a sampan ride in Aberdeen. The Deluxe Tour also includes a luxury boat cruise around Victoria Harbour, and an optional night tour add-on. For a post-sundown look at the city, the Night Tour showcases the vibrant nightlife of Kowloon, from the neon spectacle of Nathan Road and the fantastic Symphony of Lights display on the harbor. Plug in your headphones for your multilingual personal commentary, sit back, relax, and enjoy the perfect introduction to Hong Kong! 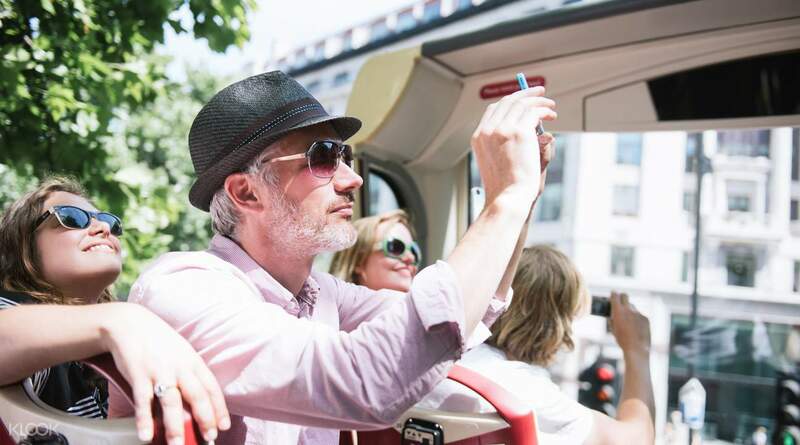 Take as many photos as you can while riding on your Big Bus Tour! Went on the Big Bus hop on hop off tours we got the one day pass which was enough for us. We did all three tour routes they were all great. Plenty of information along the way via the complimentary ear phones. All the staff we encountered were very friendly and always helpful. Well worth your time to do it. Went on the Big Bus hop on hop off tours we got the one day pass which was enough for us. We did all three tour routes they were all great. Plenty of information along the way via the complimentary ear phones. All the staff we encountered were very friendly and always helpful. Well worth your time to do it. Make sure you buy the 2 or 3 days ticket. My favorite is the green line. The route will take you to the back side of the Hong Kong Island, where you can enjoy the seaview and even go to the beaches there. The red and blue routes will take you to the Kowloon area and the busy shopping district of Hong Kong. Make sure you visit Hong Kong on a sunny day to enjoy the top deck. Make sure you buy the 2 or 3 days ticket. My favorite is the green line. The route will take you to the back side of the Hong Kong Island, where you can enjoy the seaview and even go to the beaches there. The red and blue routes will take you to the Kowloon area and the busy shopping district of Hong Kong. 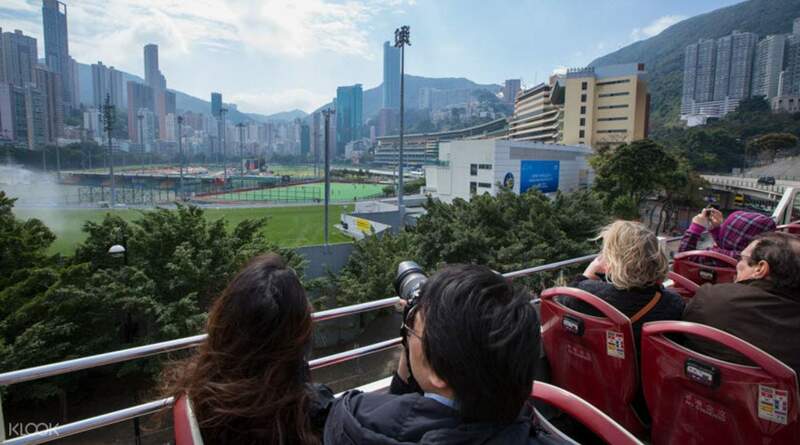 Make sure you visit Hong Kong on a sunny day to enjoy the top deck. Good way to explore the city. Wait time get long at times. Upper deck is great but every one wants to be there so you may not get the seat. Overall recommended since HK doesn't have anything similar. Peak Tram Fast Pass works and saves lot of time. Good way to explore the city. Wait time get long at times. Upper deck is great but every one wants to be there so you may not get the seat. Overall recommended since HK doesn't have anything similar. Peak Tram Fast Pass works and saves lot of time. We only had half day to tour hong kong city. We won't be able to see numerous places without this tour. Very entertaining with the trivias of the guide in the bus. all you need to do is insert the headset provided. the roundtrip takes 1.5 hours if you are not hopping off the bus. We only had half day to tour hong kong city. We won't be able to see numerous places without this tour. Very entertaining with the trivias of the guide in the bus. all you need to do is insert the headset provided. the roundtrip takes 1.5 hours if you are not hopping off the bus. We're glad we booked this activity. It was very convenient. Big bus offices are easy to find and the staff are friendly. The narrative on the bus was educational. My 10 year old kid loved it and said she learned so much while having fun riding the top deck of the big bus. We're glad we booked this activity. It was very convenient. Big bus offices are easy to find and the staff are friendly. The narrative on the bus was educational. My 10 year old kid loved it and said she learned so much while having fun riding the top deck of the big bus.